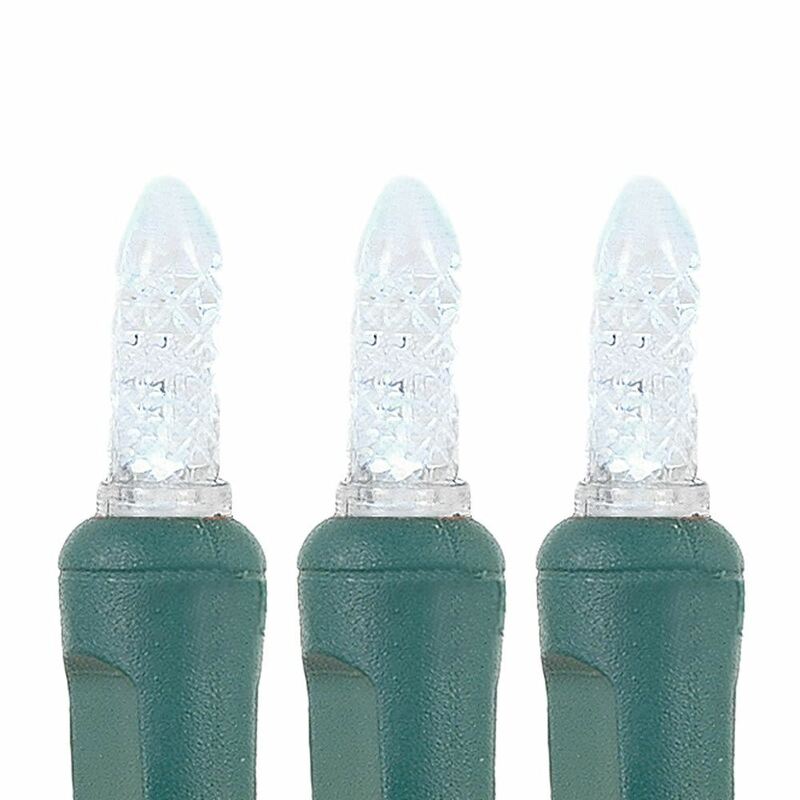 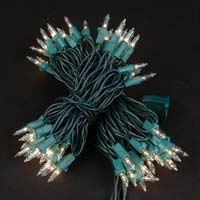 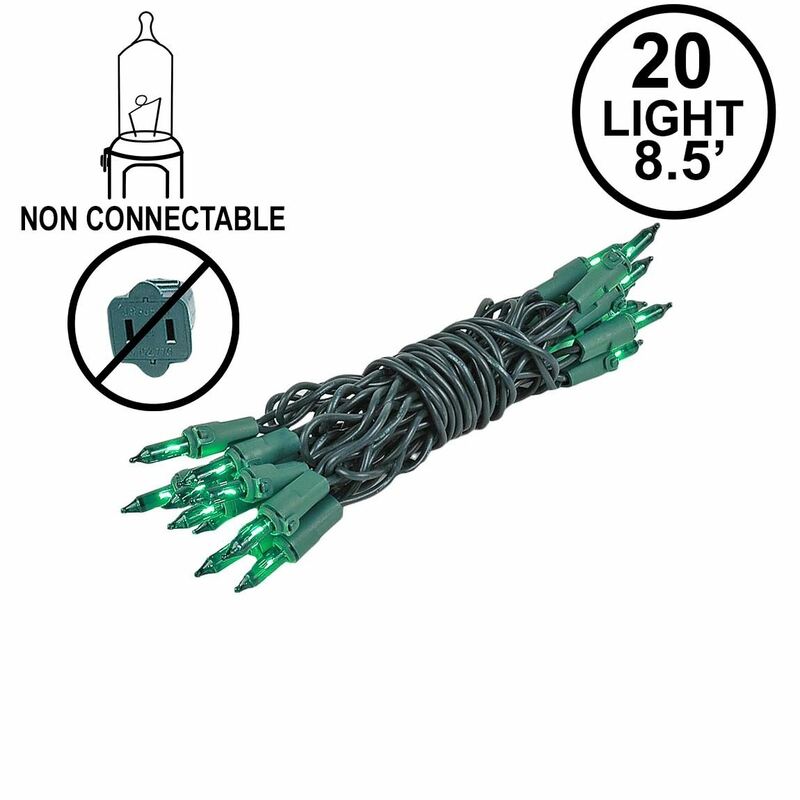 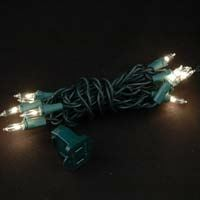 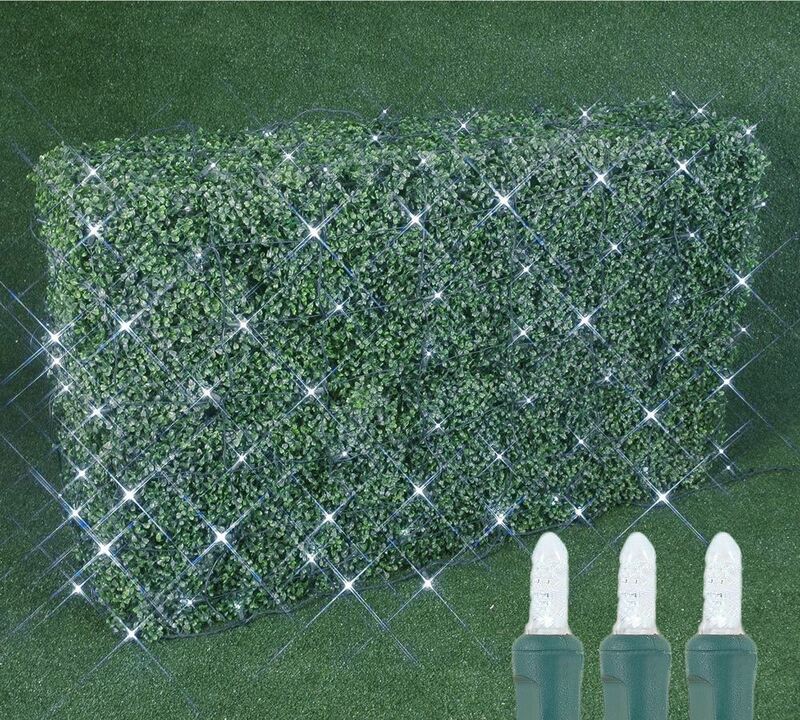 Green wire mini holiday light strings are the classic choice for simple yet sparkling indoor and outdoor Christmas illuminations -- but will also set a cheery mood for your next outdoor party. 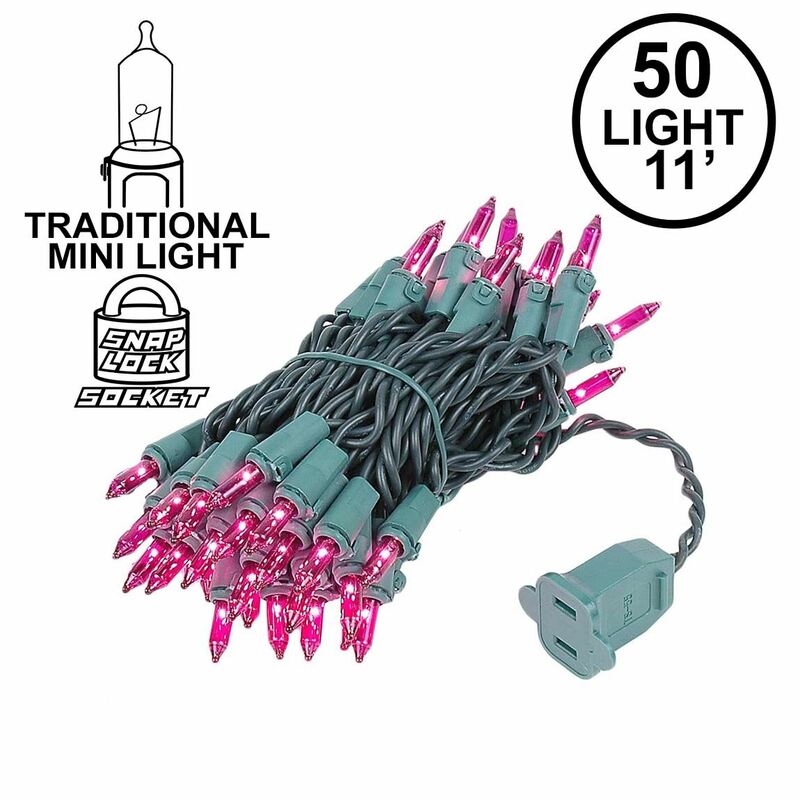 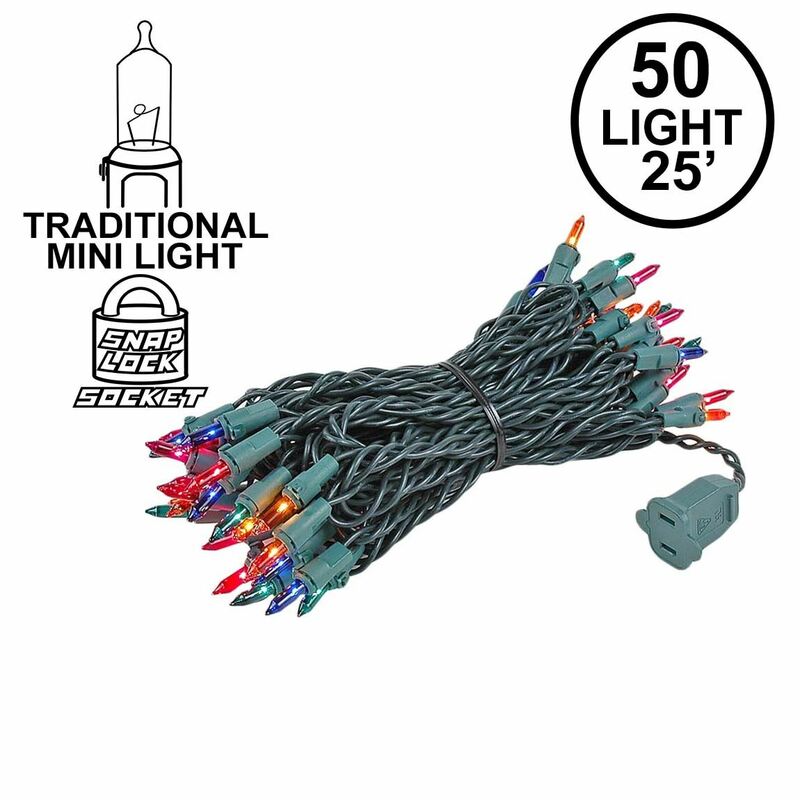 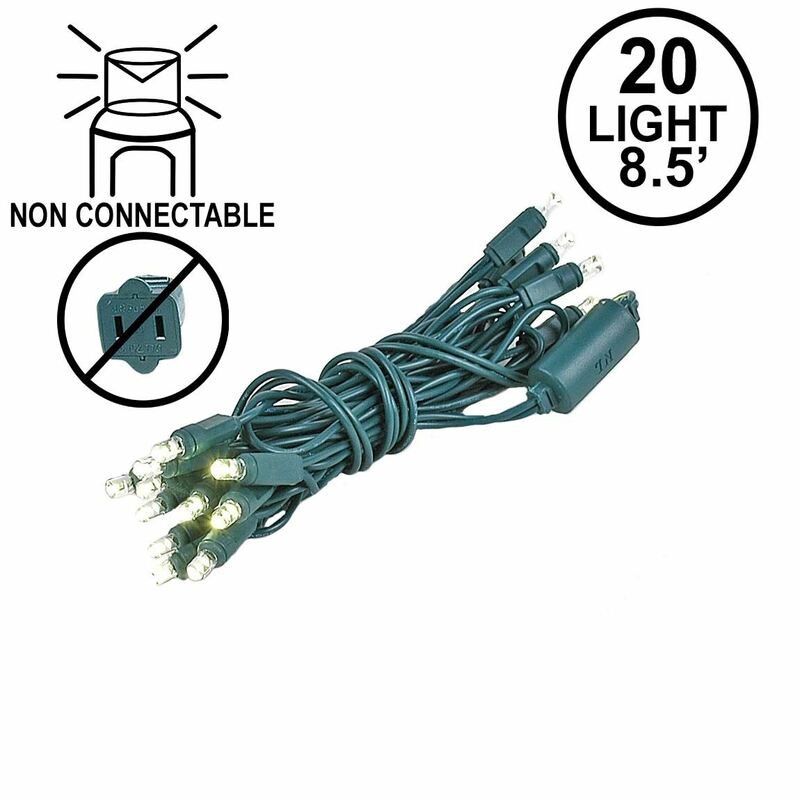 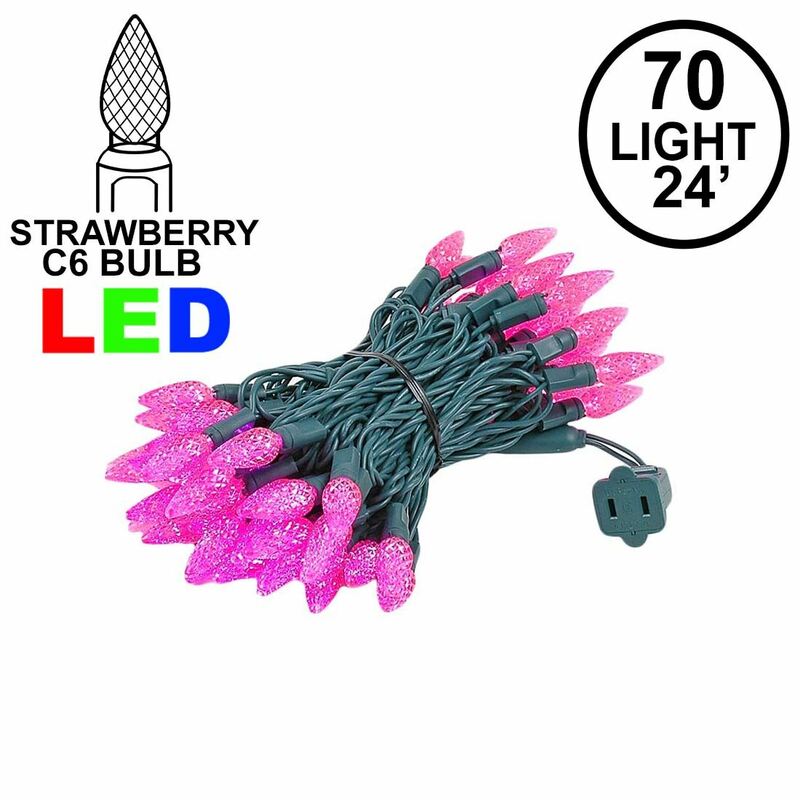 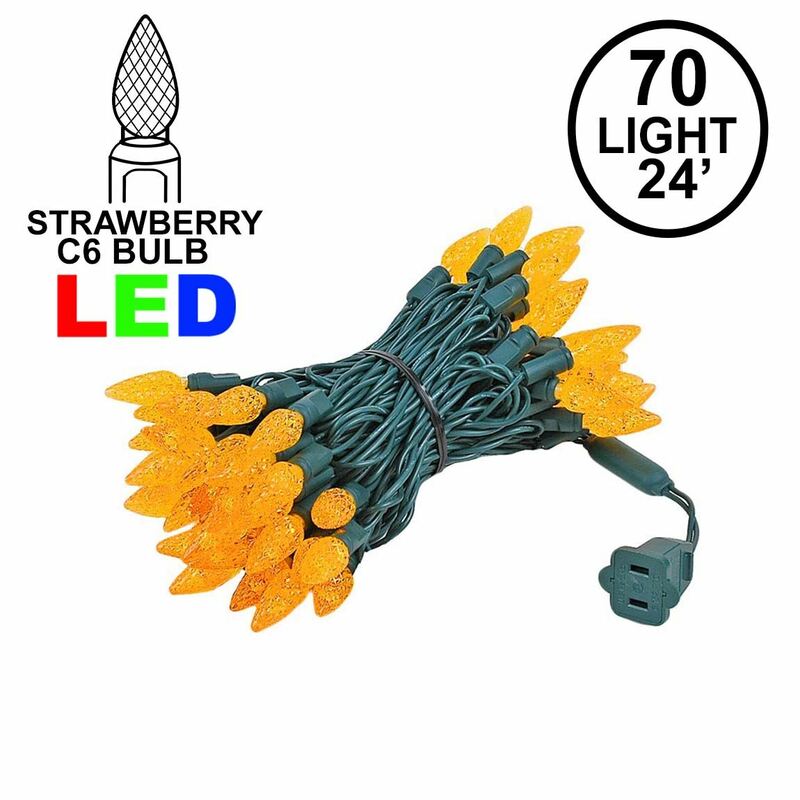 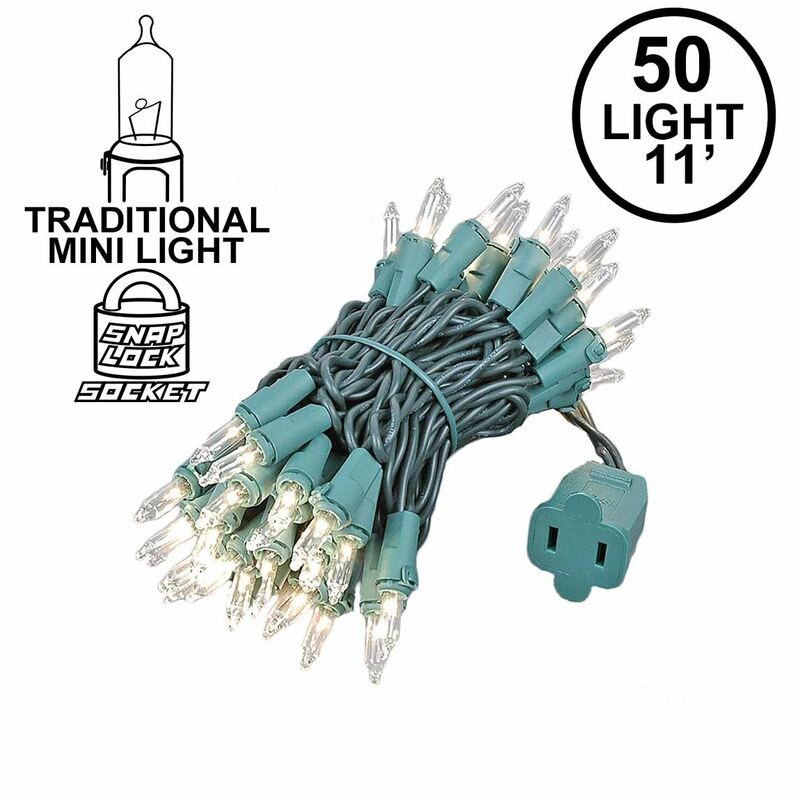 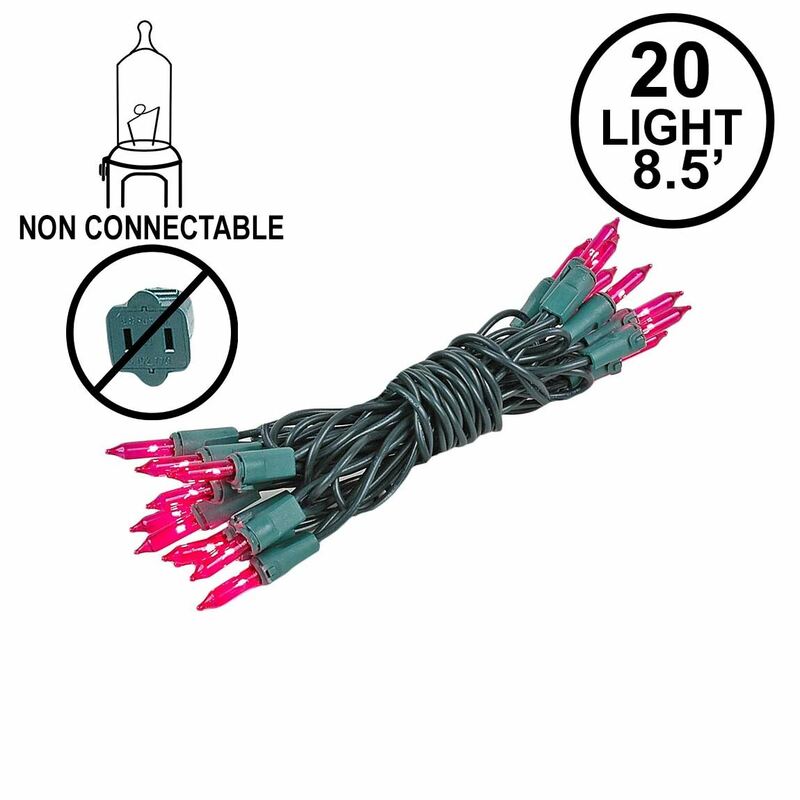 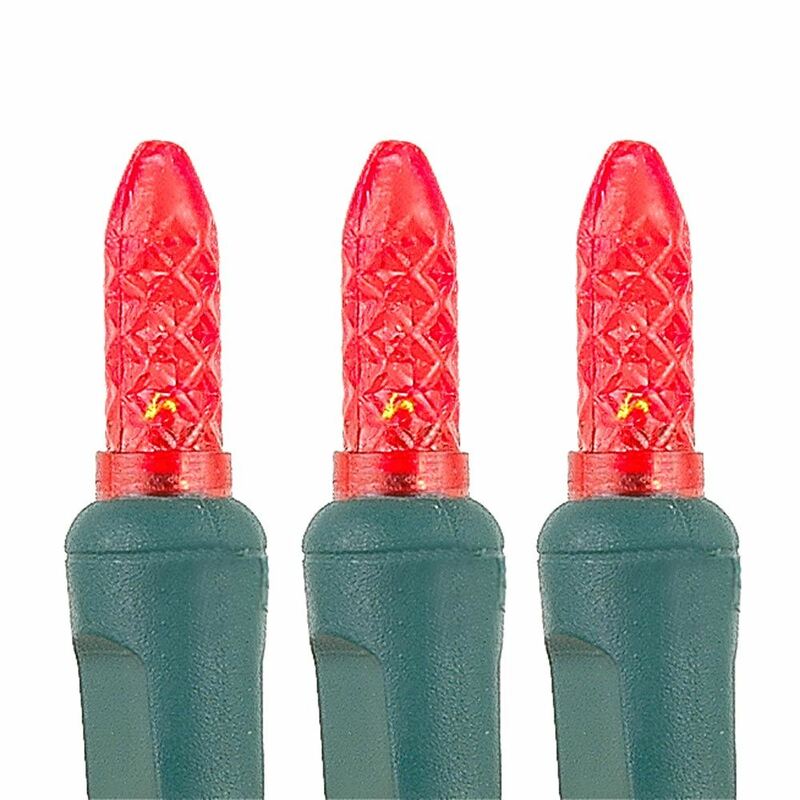 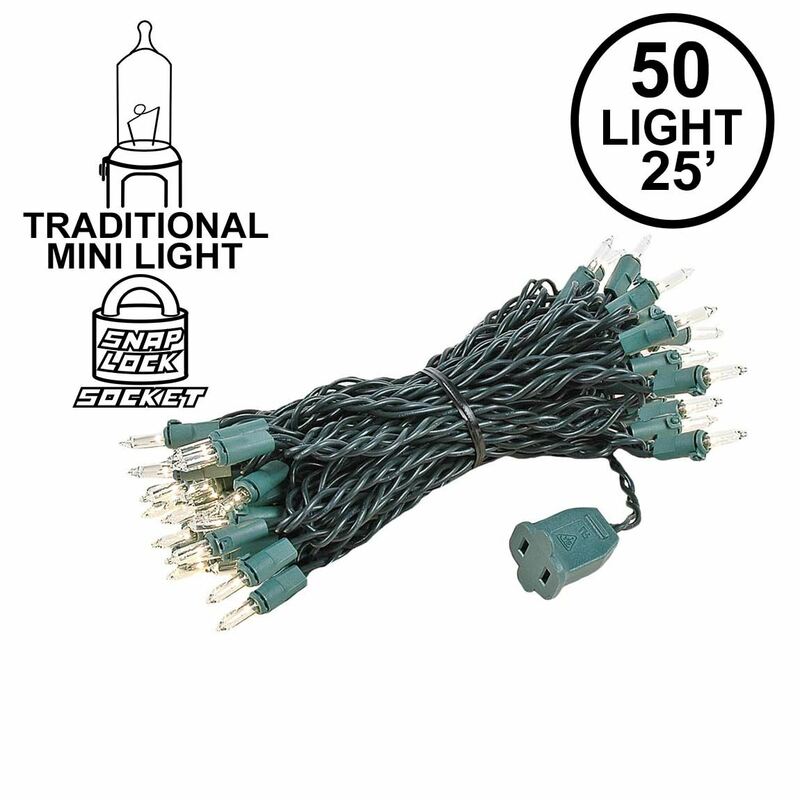 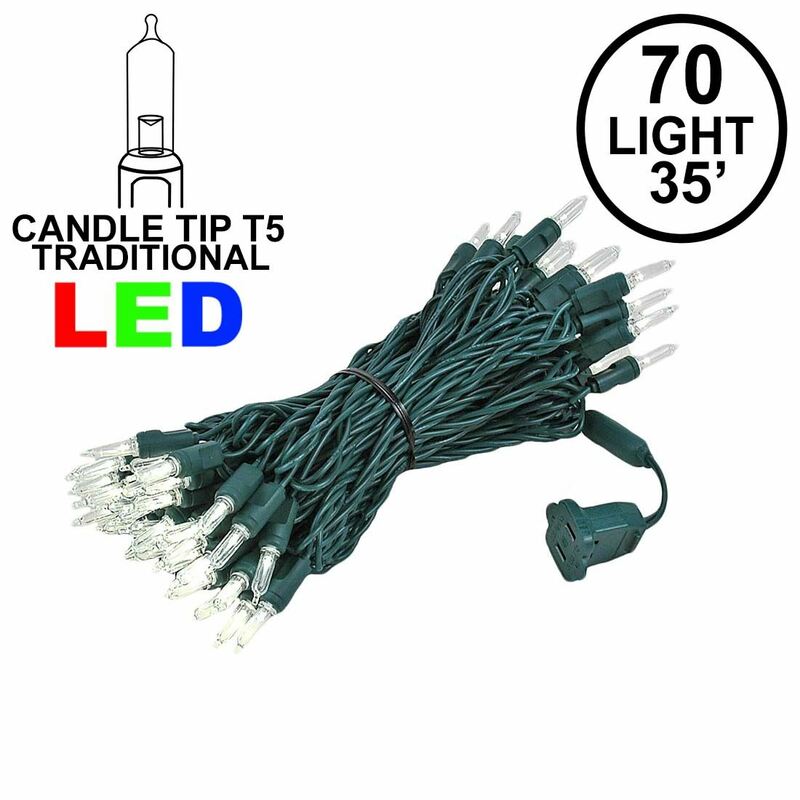 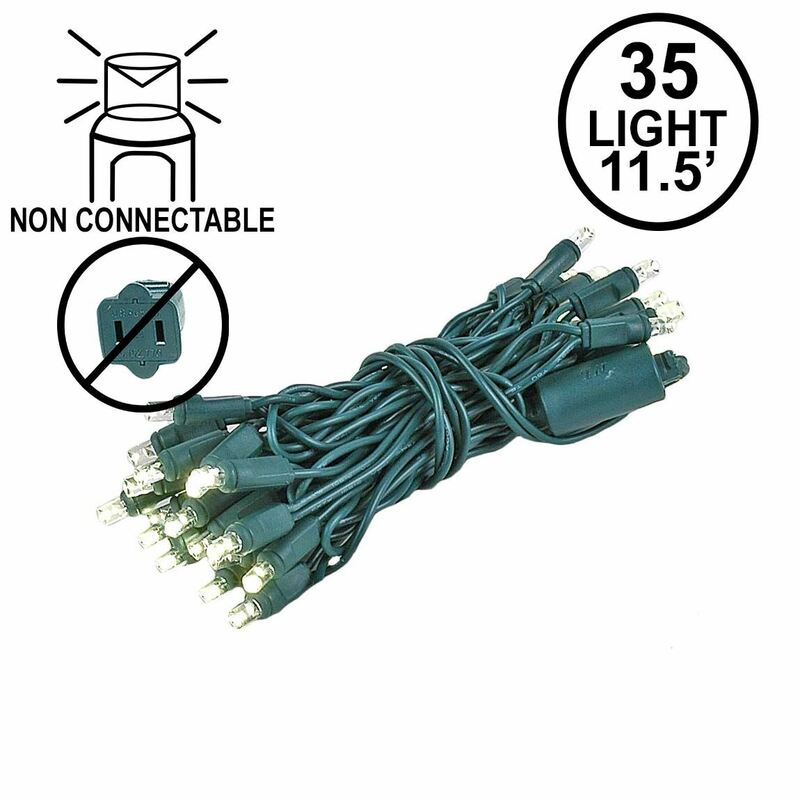 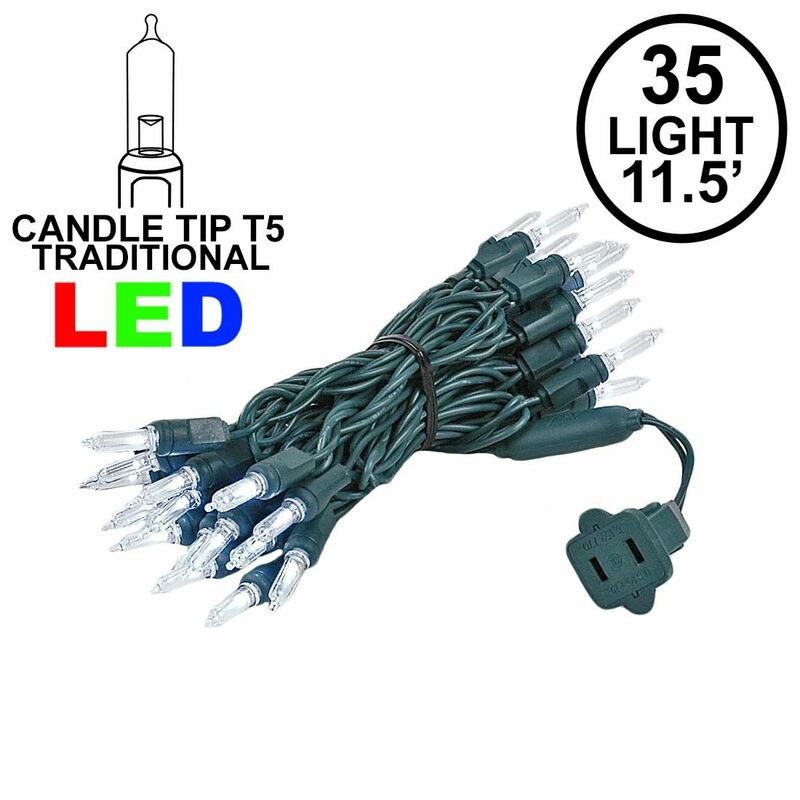 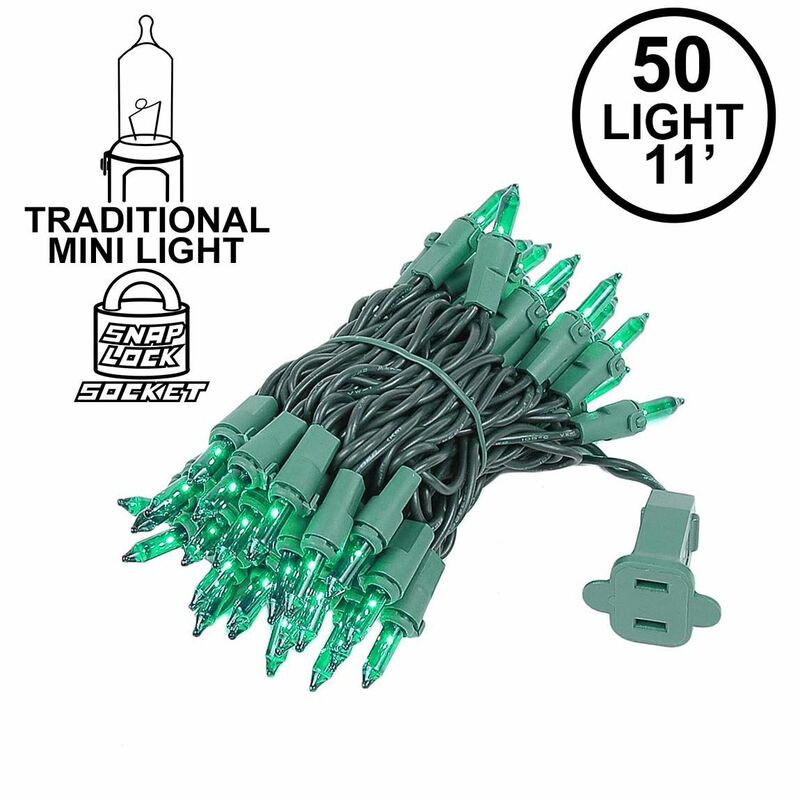 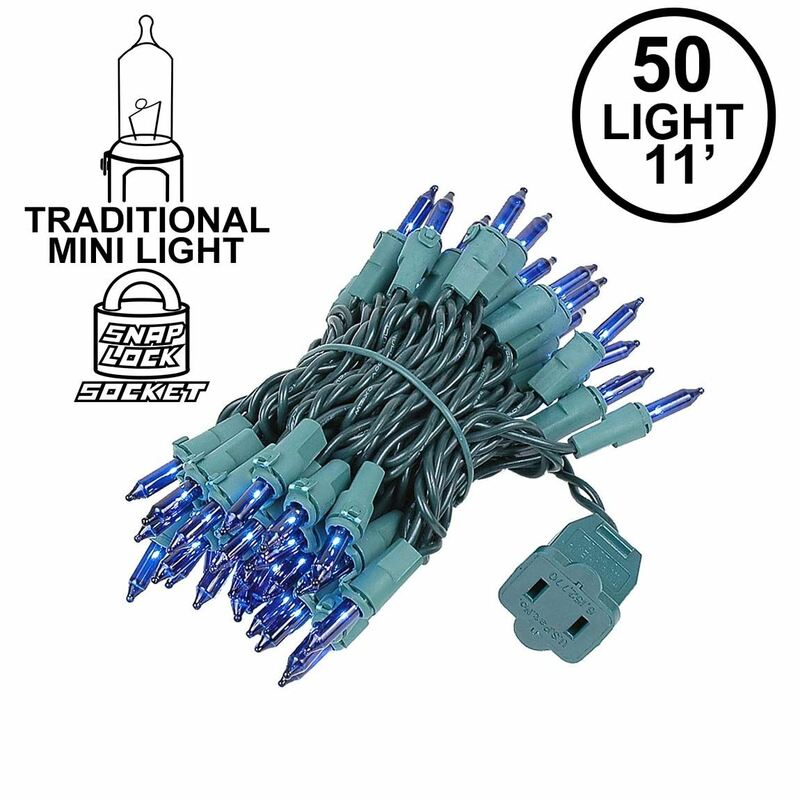 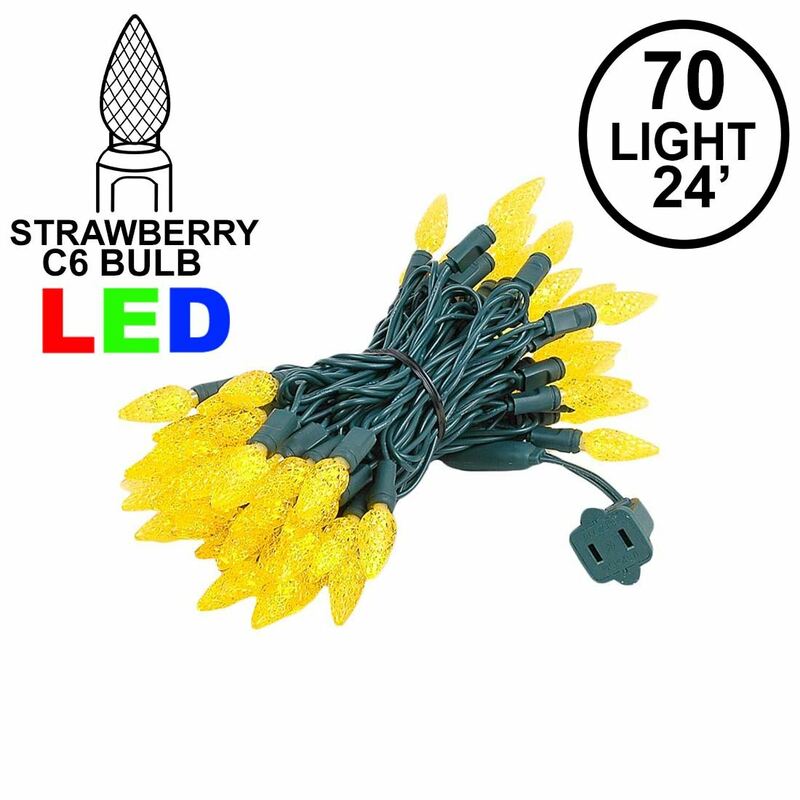 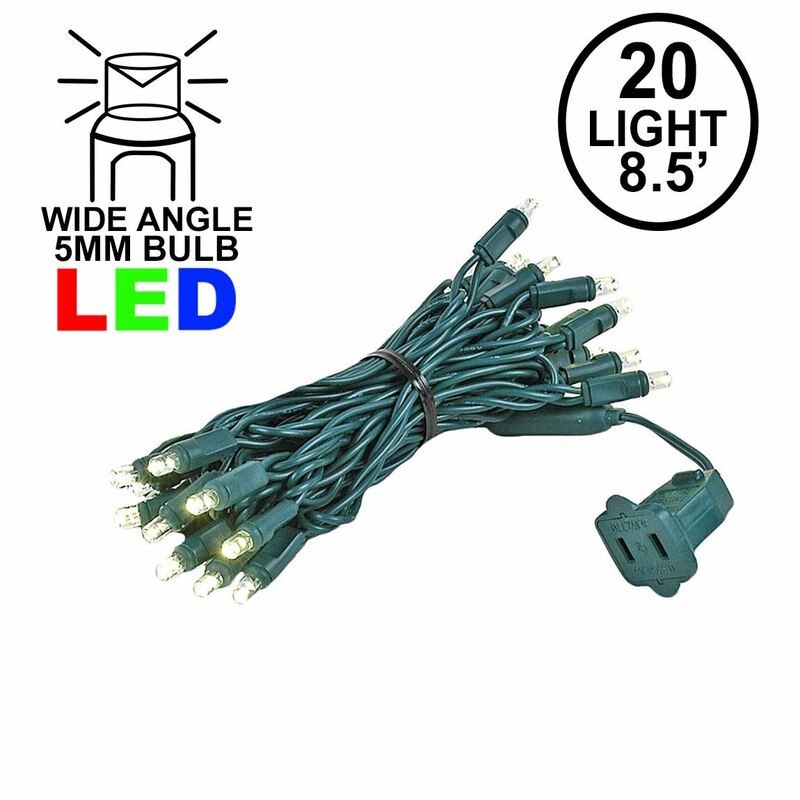 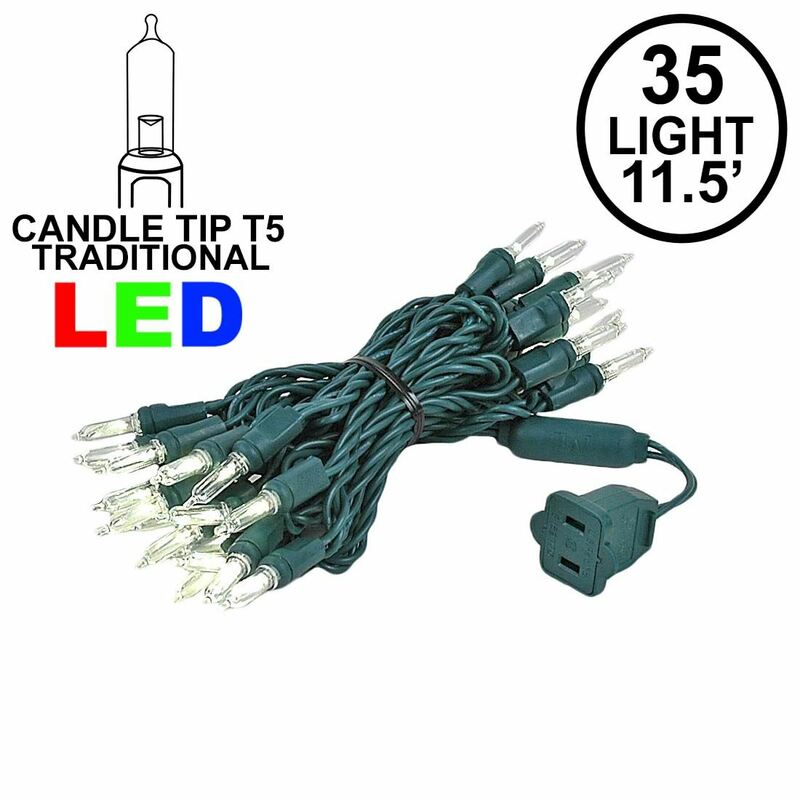 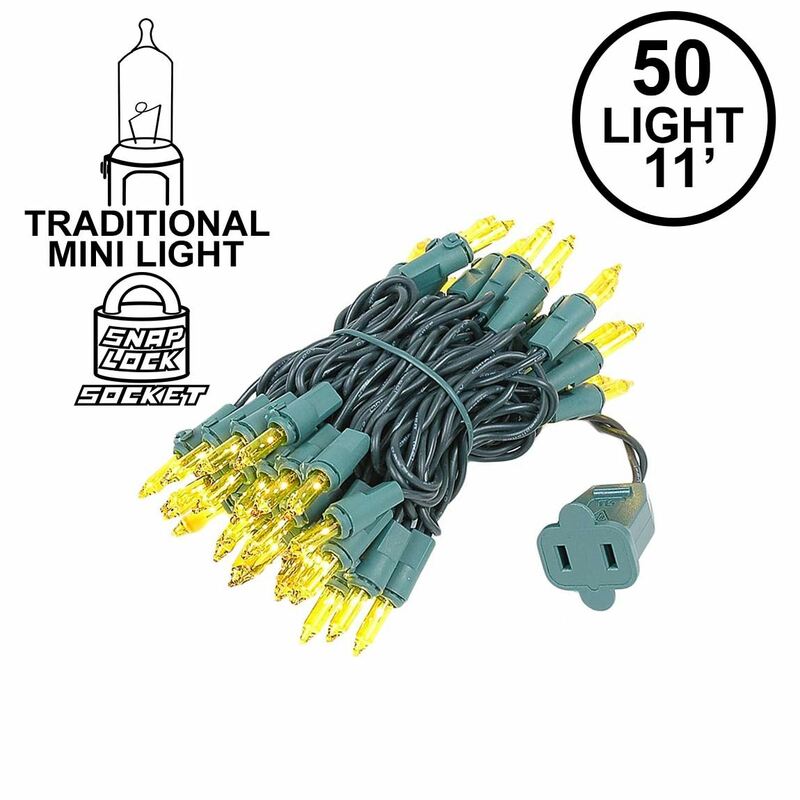 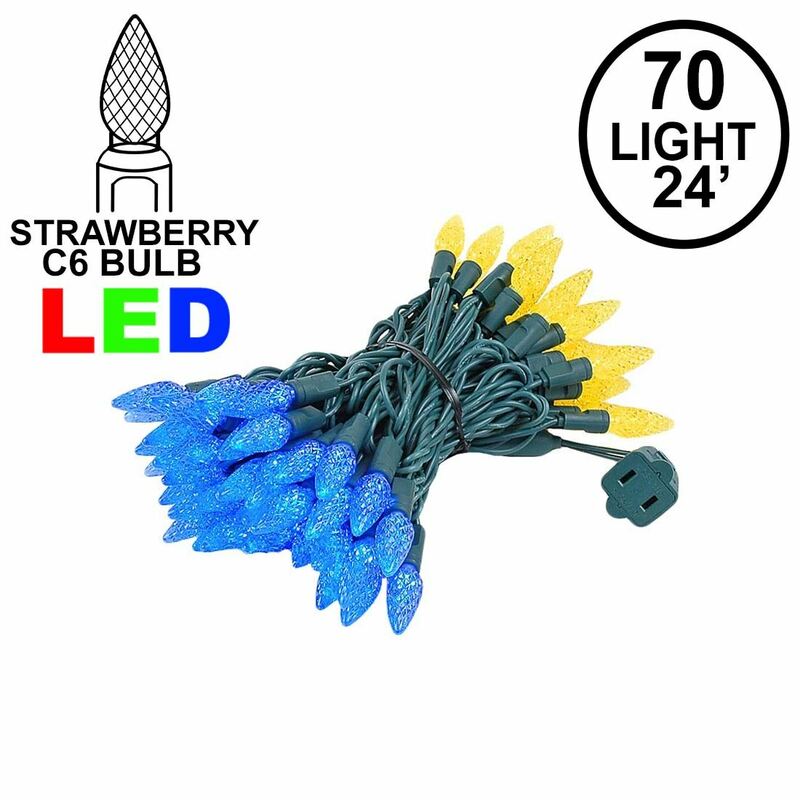 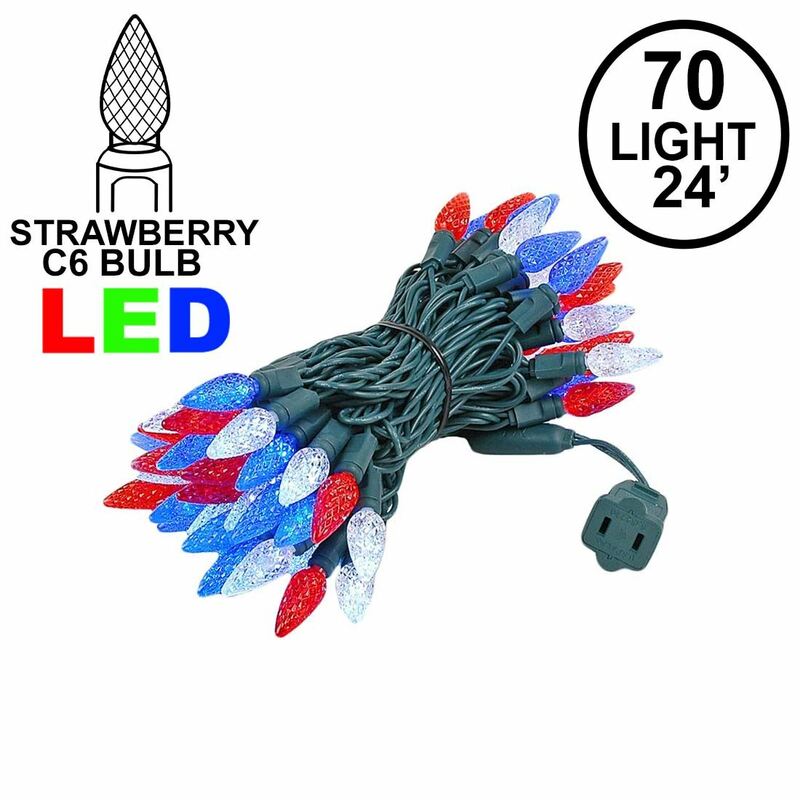 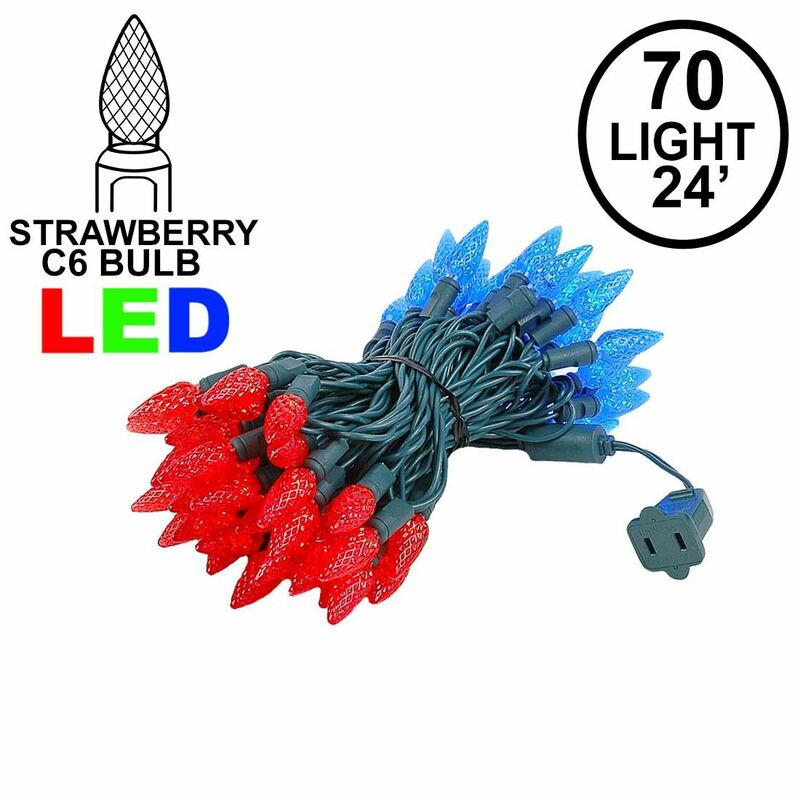 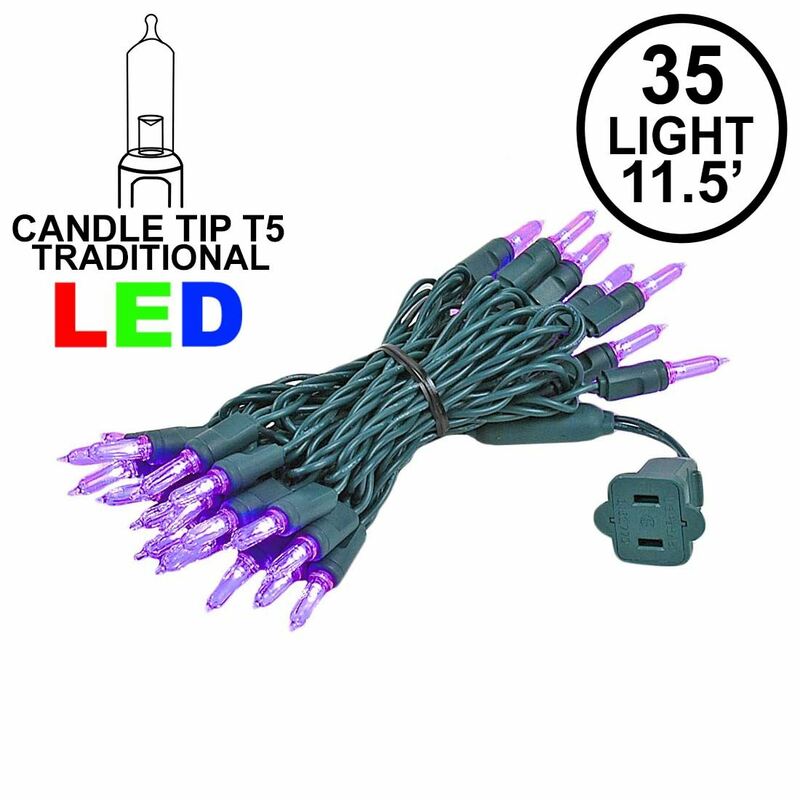 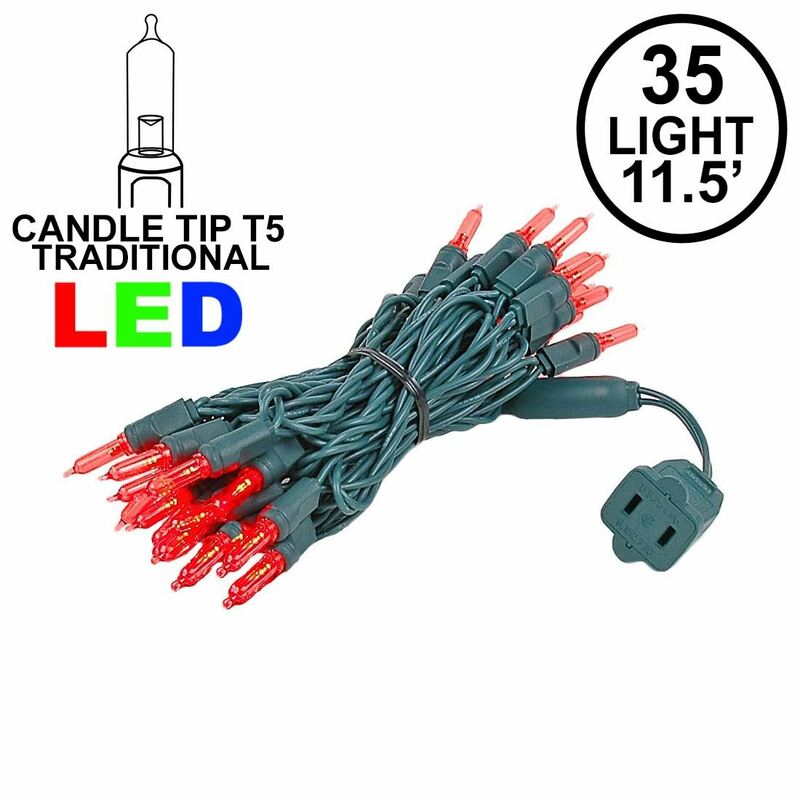 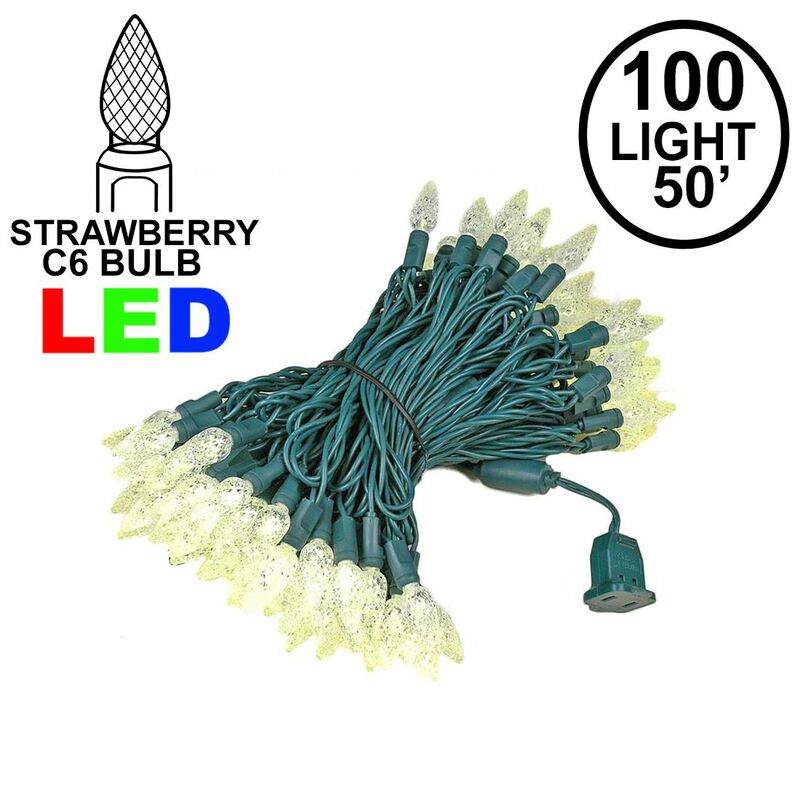 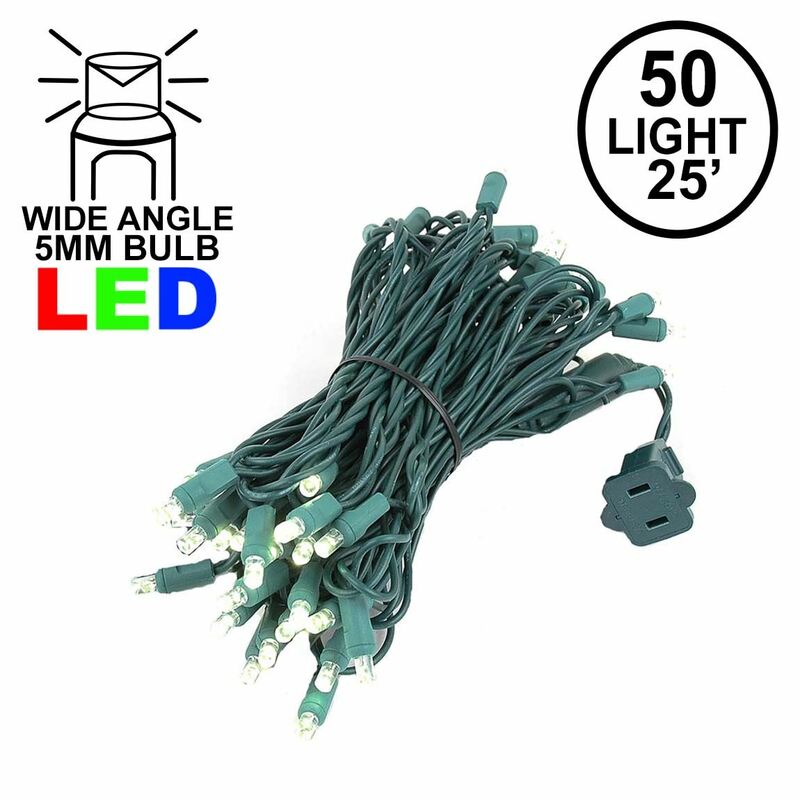 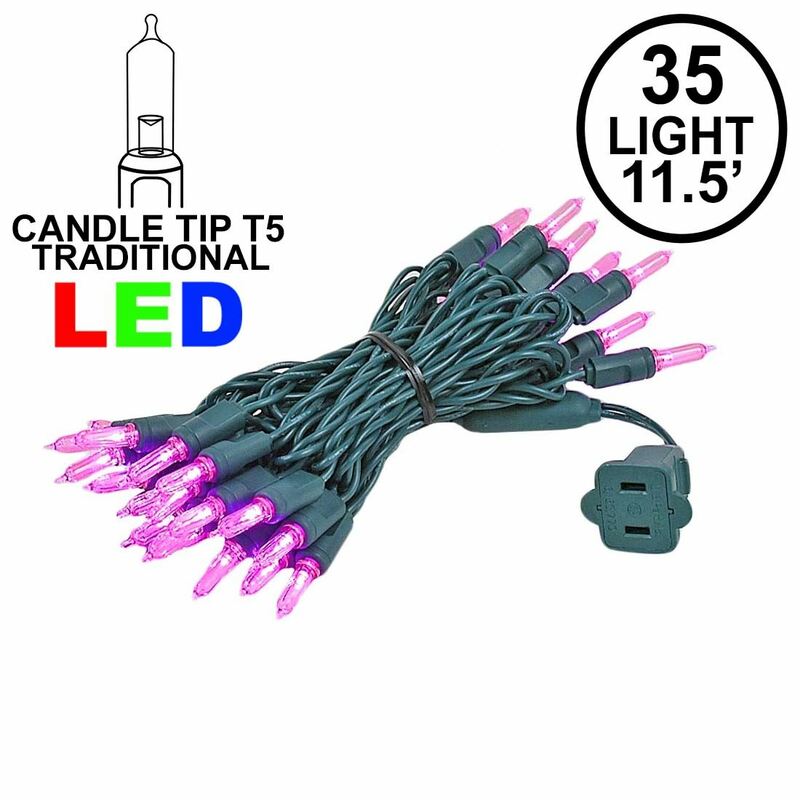 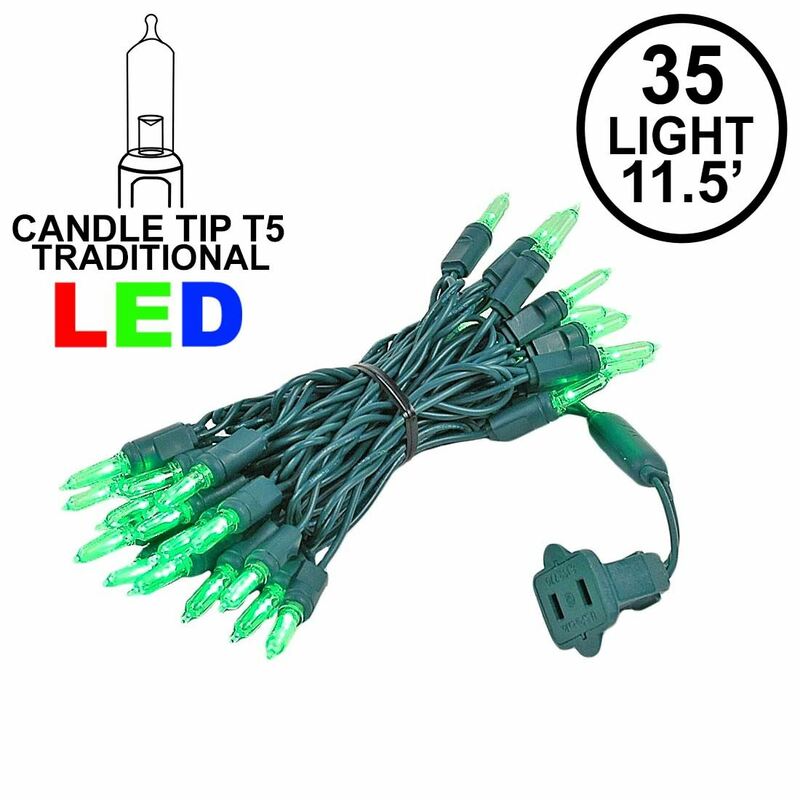 These commercial grade mini Christmas lights on green wire have a snap-lock socket and long-life, durable 3000-hour mini bulb. 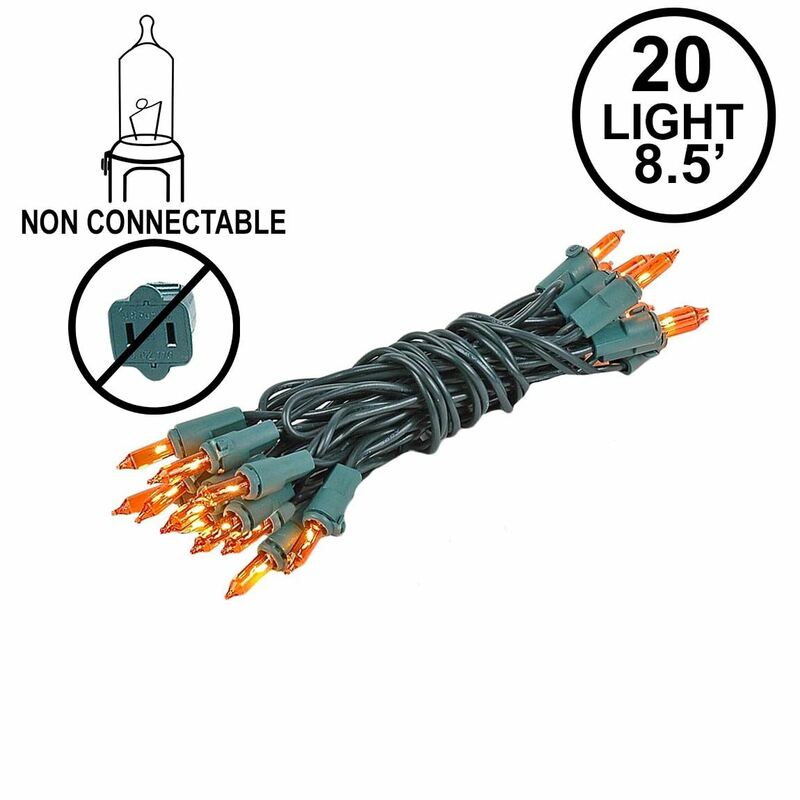 Each strand has an end-to-end connection so you can string multiple sets together, and if one bulb burns out the rest stay lit. 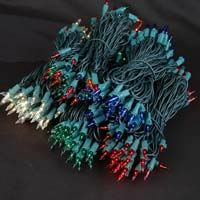 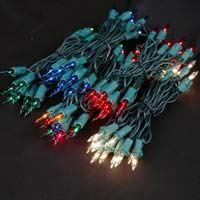 Available in single and multicolor strands as well as unique two-color mini lights in red/white and green/red. 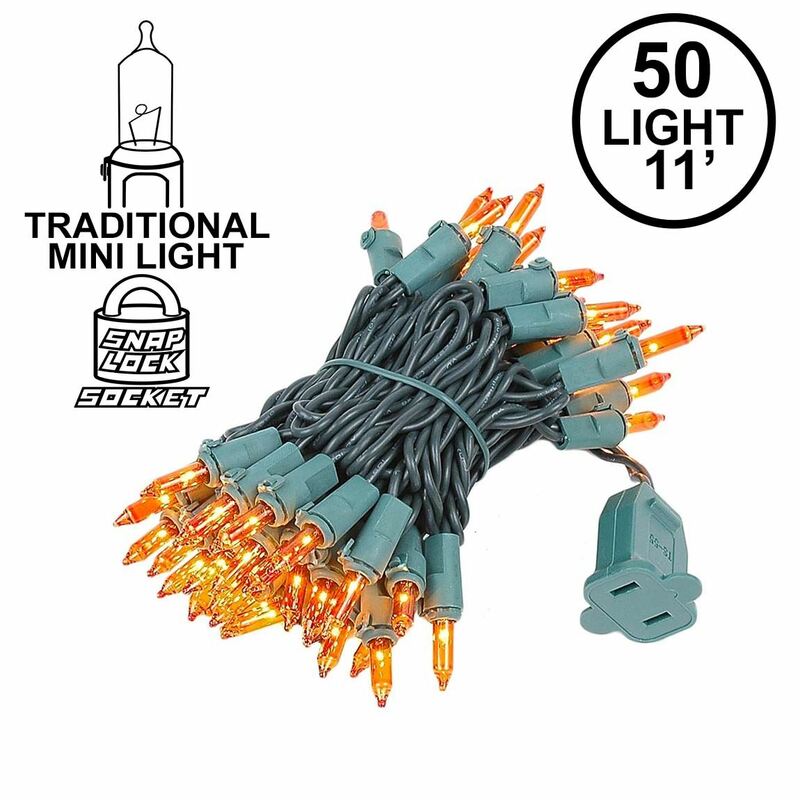 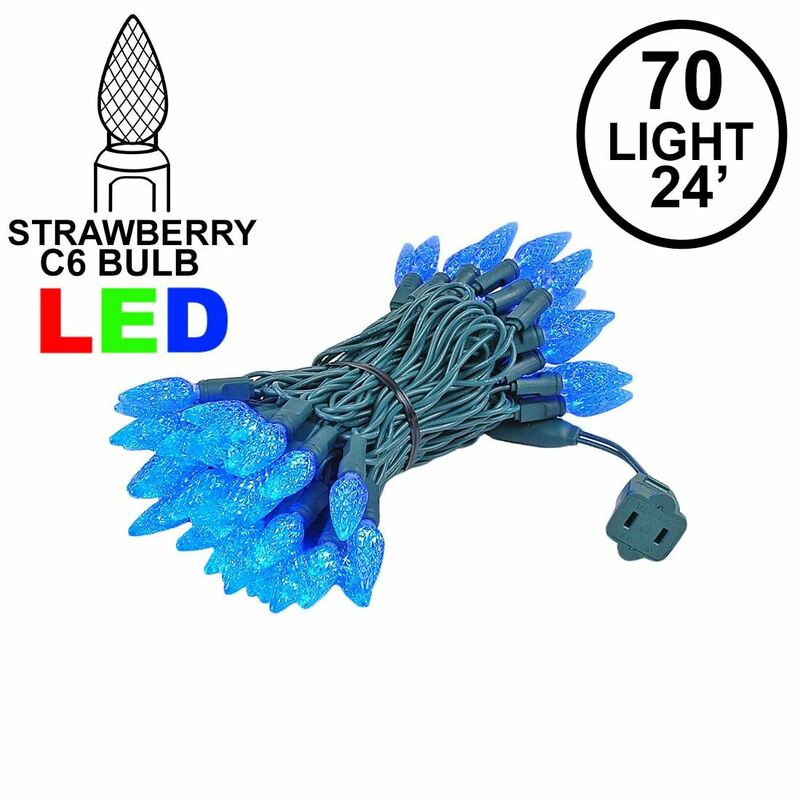 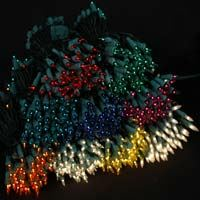 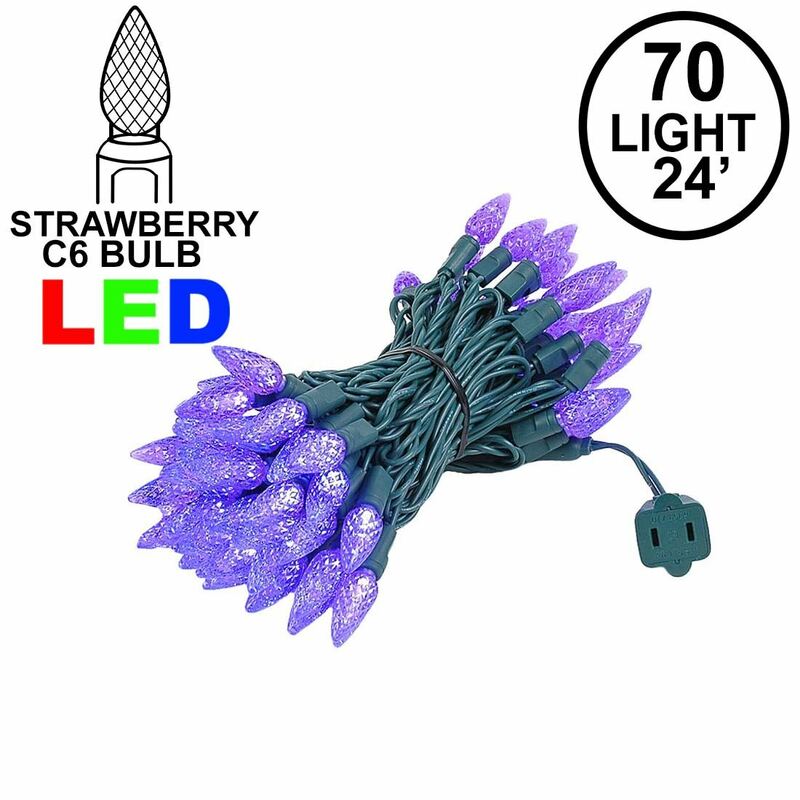 Novelty Lights imports thousands of mini Christmas lights every year so with our high-volume buying power we can offer you the best pricing anywhere.